The gift of Reports in QGIS is a massive step in the right direction. I have set up a department template for my team to use and it looks great! This works great for the first section of the report. Unfortunately, the second section not so much. In the second section, the title matches the zoom (the title gives the route number and description) but the line visible is the wrong route. Is there any reason using the above expression wouldn't also work for reports with multiple sections? I also tried I also tried "Route" = Attribute( @atlas_feature , 'Route') to see if that would fix it. I had the same problem. Bonus: I also tried intersects( $geometry , @atlas_geometry ) and now I'm beginning to think this is a bug. See update below. Update: I have noticed that the layer from Group 1 is still showing even though a different layer is selected for group two (as shown in the pictures below). The setup for Section 2 is provided in the screenshot below, however. The problem arose due to thinking that selecting the layer to iterate over would also be the one that was visible throughout the printing process. However, because there is no preview of pages in Report mode yet, it makes it impossible to actually see what's going on as it renders each page. 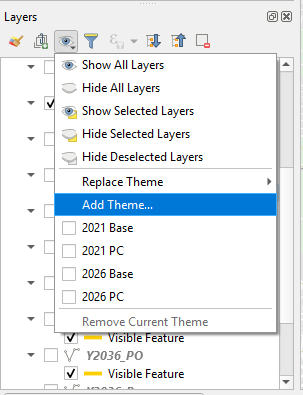 If, like me, you need to only have one layer on at a time, you will need to create a report preset for each section of the report. Following this, as you create your report body for each section, you will need to assign that preset to each map of each section manually. 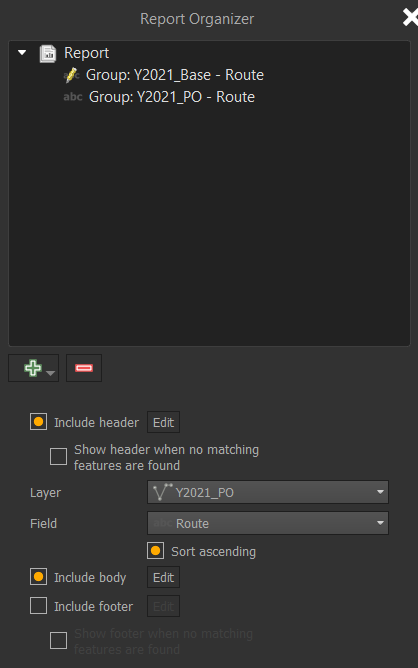 Now, I used "Route" = Attribute( @atlas_feature , 'Route') but I imagine using $id = @atlas_featureid would also work as the rule in the symbology for each of your data layers. Important to note the ELSE that's there as well. I think that is required to make sure it knows there are things to print. I just set it to a fully transparent line. Now you will be able to create a whole report with a single feature on each page of each layer in individual sections. Sometimes you just have to remember that QGIS is actually quite a "dumb" program. But being that way makes it so much more flexible, so you've gotta take the slightly longer workflows with the good. Not the answer you're looking for? 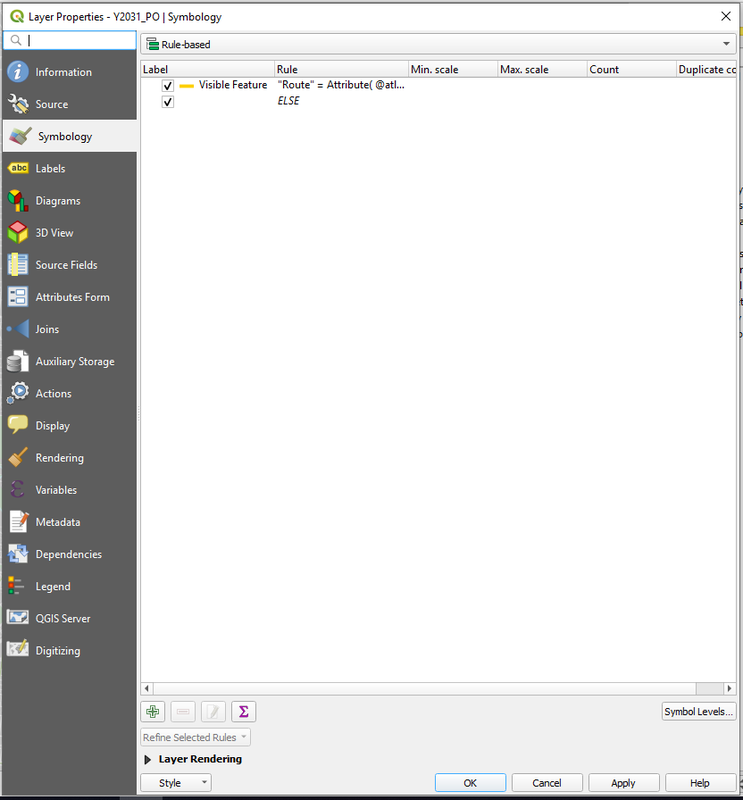 Browse other questions tagged qgis symbology qgis-3 filter reports or ask your own question. Plotting lat/long stored as text in Oracle DB using report builder/SSRS r2? Placing each record on separate page using ArcMap Report Designer? WebGIS Report Feature with Pictures? 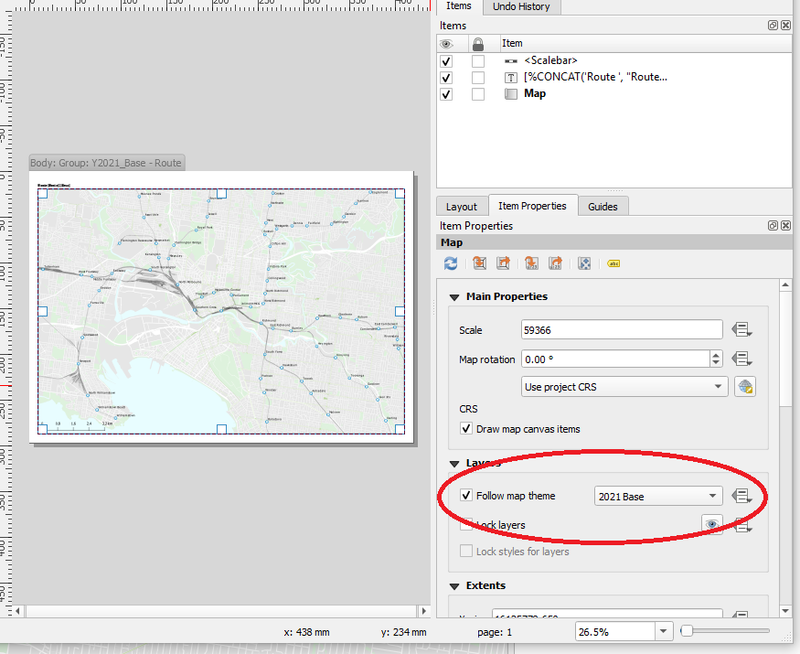 How can I use shapefile or spatialite data for creating formatted PDF reports? How do I change 'Coordinate Display' for a project, programatically?